The Following Parameters acquire an important dimension. 1. The Day is Tuesday and the Lord is Mars and placed in the 3rd house in watery sign and having aspect of the 3rd and 12th Lord Jupiter , there is also exchange of the 3rd and the 11th Lord . 2. 3rd House is Rumours and since Mars is connected all Rumours will be false coming in the news. 4.ishraaf yoga of Mars day Lord with the Lagna Lord Saturn . The Kambool Yoga of Mars with Moon, Jupiter and Venus and all connected to the watery signs will give rise to connection with Rains, Hailstroms and Snow which may not be good in totality. 5.Mercury the Karka for Weather,Media, Communication,Stock Markets is with Ketu degree conjunction hence significations of Mercury will also be afflicted. 6. Hence ill effects relationg to Weather, Stock Market and Media , Rumours which will be also fake. 7.The Most important Parameter is the Nodes Rahu and Ketu changing their state of Motion who are also capable to turn the tables upside down specially Rahu with Moon in the sign Cancer . 8.Mercury is afflicted hence false Rumours for the EVM machines being hacked. 11. 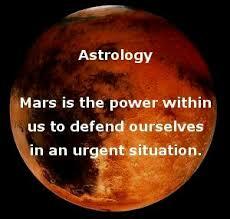 Mars has Ishraaf yoga with Saturn the Lagna Lord hence all what is happening may not bring good results it so seems . This is happening just after a day from the Lunar Eclipse of the 21st Jan. 2019.